Refined sugars when consumed increase the level of insulin instantly. 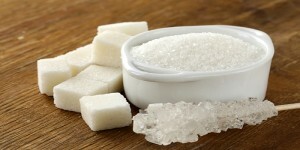 It is proven by research that sugars promote cancers. In the year 1931, German scientist Otto Warburg first proved that cancers and tumors use sugar to increase and multiply. Sweeteners which are rich in fructose like corn syrup mainly feed the cancer cells, as foods having high-fructose corn syrup (HFCS) are easily metabolized by cancer cells. Thus, it is clear that foods like pies, juices, cakes, sodas, cereals and sauces are some of the items containing loads of refined sugar are the reason of high rate of cancer these days. According to a 10 year long research, everyday consumption of even small amount of red meat, like one fourth of a hamburger, promotes the risk of cancer in men by 22 percent and in women by 20 percent. 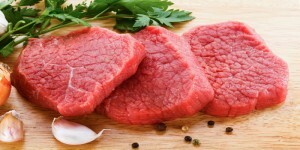 Another research showed that cancers of prostrate, breast and colon are promoted by red meat. Red meat is known to promote colon cancers the most. According to a study conducted in USA, it affects mostly people between age group 50 and 74, those who consumed red meat for a longer period. But consumption of poultry and fishes proved beneficial in long run. All the vegetable oils are hydrogenated oils. They are not extracted like butter and many chemical processes are involved to remove it from their source. To add appeal and color to them they are further deodorized and colors are added to it. A very high level of Omega-6 fatty acid is present in almost all the vegetable oils. These fatty acids, when in excess cause heart related diseases and promote several cancers like skin cancers. Further, hydrogenated oils work as preservative for processed foods. They maintain the appeal of food for long time. Cancer is linked to hydrogenated oils, as these oils influence the cellular flexibility and structures. Olive oil serves the best alternative to these unhealthy hydrogenated vegetable oils. 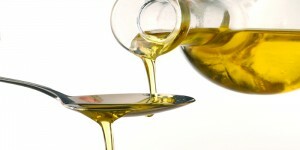 Extra virgin oil is the most natural version of olive oil. Another choice can be coconut oil which contains easily digestible medium chain fatty acids, not found in other oils and butter. 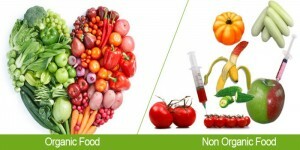 We all know that all the fruits and vegetable that we eat contain lot of pesticides. Some of the nitrogen fertilizers like thiodicarb, organophosphates and atrazine are the most dangerous known pesticides. Many Western and European countries have banned use of atrazine fertilizer. Although atrazine is used for killing weeds; when consumed by humans, it causes reproductive problems in them. Rest many other conventional foods are treated with hormones and chemicals, to increase their growth and improve taste. 90 per cent of the fruits have been found with pesticide residues which included strawberries, grapes and oranges. Consuming organic products is the key to good health. Instead of selecting pesticide and fruits injected with sweetening agent, one should select organically grown ones. They might be costlier, but in the longer run organic produce will prevent future hospital visits too. For quick snacking, microwave popcorn has always served the purpose. But people are hardly aware of the fact that complete preparation of popcorn in microwave is highly dangerous for health. 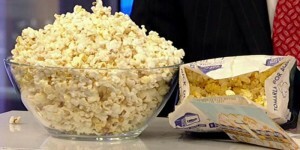 The bags of popcorn, considered most convenient for microwave, are made of potent cancer causing material. These bags are coated with a chemical agent called as perfluorooctanoic acid (PFOA), a potent carcinogen. Same toxic substance is present in Teflon also. Recent studies have depicted that PFOA promotes risk of testicular, bladder, pancreas, kidneys and liver cancers. Content wise too, microwave popcorn contains many unhealthy preservative like propyl gallate, known to irritate skin and promote stomach issues. Even the corn used is a GMO product, instead of organic corn. GMO products are already in the list of cancer causing substances. A substance called as diactetyl is applied to the corn kernels. It was identified as an agent promoting lung diseases amongst the ‘ConAgra Foods’ factory workers and had to be removed from their popcorn brand. Preparing popcorns in a vessel by the old yet healthy method is one solution. With little salt and oil in the pan along with corn kernels minus all the unhealthy ingredients, after closing the lid of pan and heating for few minutes, will generate the same aroma as of microwave ones. All the foods like low fat foods or diet foods, frozen foods and prepackaged foods like sodas contain an artificial sweetener called as aspartame. Aspartame is already known to promote cancer. Many research studies have shown its involvement in birth defects, heart problems and cancer. Diet foods undergo a lot of chemical processing. They are made from super refined materials having high sodium content, many artificial flavors and colors are added to it. Also many preservatives are added which are never good for health. Hence the summary of diet food is that anything artificial is real unhealthy. Although, many products added are addictive in nature; they actually stimulate the feel good part of brain. One has to be smart here and pick healthy food choices like natural diet foods, organic fruits and vegetables. Eating raw, fresh organic fruits and vegetable from nature is the healthiest choice. Also selecting foods from market with harmless ingredients is one of the options to satisfy the hunger pangs. We all have heard about white flour being bad for health, but very little idea do we have that this flour is seriously very unhealthy. All the nutrients are destroyed when grain refining is done. Mills don’t wait for the flour to turn white instead they bleach the flour with chlorine gas. According to EPA, large quantities of chlorine gas if inhaled can be lethal to body. White refined flour has very high glycemic index and shoots the insulin and blood sugar levels instantly. This refined white flour which is part of many processed foods, has the ability to directly cause diabetes. 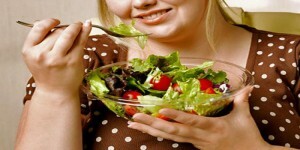 It is studied that it promotes cancer cells directly as it becomes food for them. It is known that tumor cells thrive on bloodstream sugar; thus avoiding refined white flour will definitely starve the cancer cells. Given the reason that this flour promotes cancer and avoiding it will starve the cancer cells, one can use other options available for flours in market. 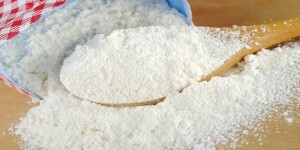 Many types of flours are available that are healthy yet tasty. Almond flour is one of them. It contains healthy fats and proteins. But it has to be refrigerated for preservation as it gets spoiled easily unlike refined white flour. Another choice is Quinoa flour. It contains essential amino acids and completes the body protein requirement. Organic Quinoa can be baked in oven and flour can be made from it. Buying organic food items is the healthiest choice.